At Zylun we invest in exceptional PEOPLE who build great companies. We look to partner with, mentor, and develop great management teams. Zylun provides patient capital that looks to hold investments to maximize value. Zylun is a closely held investment management firm focused on investment opportunities in the intermountain west. We are headquartered in Rexburg, Idaho with offices in Lehi, Utah. There are many entrepreneurs who have great ideas but few who have the ability to execute and the will to succeed. We value the finishers of this world, those able to work through hard times and never give up. We value being able to find passion in what we do, being accountable for our work, and taking ownership for the success of the organization. We value the ability to recognize, deeply understand, clearly articulate, and solve problems. We believe in being vulnerable, open to criticism, and working to improve ourselves. We value innovation and creativity, a solutioneer takes risks to create something new. We value businesses that serve a good beyond itself. We value the ability for an organization to become successful and great while being conscious and proactive in bettering everything in contact with it. We value the ability to build up the people within our organization, investing in their future and ours. We value team players, lifting others up, and working for the good of the whole. We value not having a fixed mentality, there is plenty of pie for everyone, one person's success does not take away from any other person. When one person succeeds, we all succeed. Brigham is the Chairman and Founder of Zylun Global, a private equity backed investment holding company. He is also the founder of three of its portfolio companies Codev, Clear Insights, and Emmersion Learning. Zylun Global employs more than 500 people worldwide. Codev is an offshore technical outsourcing firm with offices in Utah and the Philippines. Clear Insights is a market and opinion research firm with offices in Utah and Idaho. Emmersion Learning is a language education technology company and delivers automated oral proficiency tests and one-on-one English language training to CEO clients around the world. In addition to his roles at Zylun, Brigham sits on multiple boards including Sunworks (Nasdaq:SUNW) and Q-Sciences and previously served on Presidents Advancement Council at BYU-Idaho and Foundation Investment Committee at Utah Valley University. He was an Adjunct Professor at Brigham Young University-Marriott School teaching Financing New Ventures. Prior to Zylun, Brigham worked in NYC at Ocean Road Advisors and Meyer Ventures an $800+ million portfolio investing in public and private equities, hedge funds, real estate, venture capital, high-yield debt, and fixed income. Brigham has played a founding role in 10 companies in industries including offshore staffing/recruitment, online education, digital media, consumer electronics, and real estate. 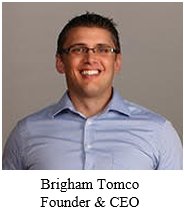 He earned his JD/MBA and Accounting degrees at Brigham Young University and an AA in Management from Ricks College. Brigham is married with five wonderful children.